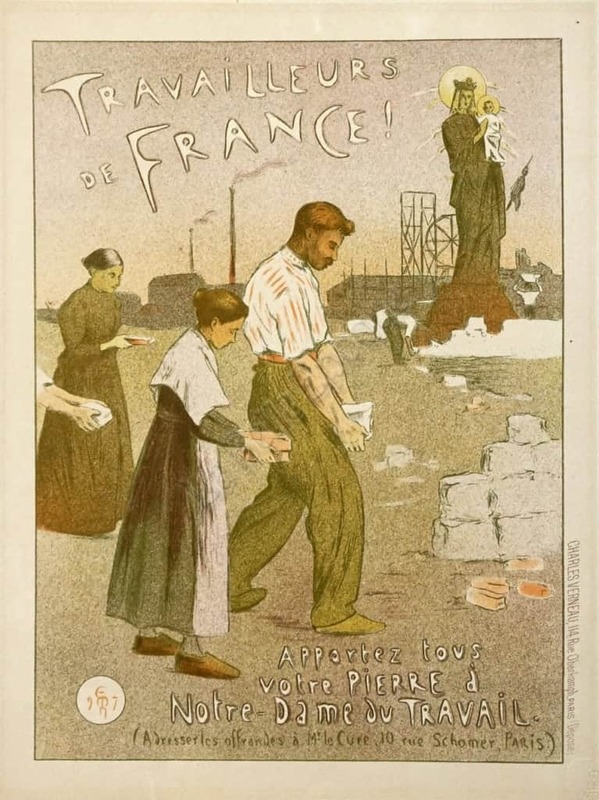 This poster for Notre Dame Cathedral by Moreau-Nelaton, a leading impressionist painter, illustrator, designer and ceramicist, advertises “French workers, bring your stone to Notre-Dame du Travail. Send your contributions to the parish Priest”. Using his soft style with pastel-hues and a strongly religious tone, as with most of his work, he creates an intriguing poster showing man, woman, and child, bringing stone to the site, under the watchful eye of the mother Mary and child.